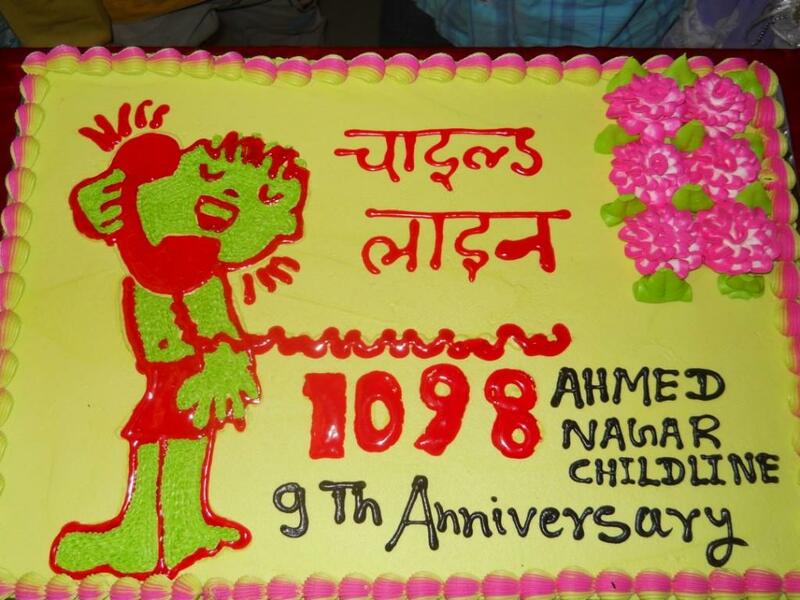 Snehalaya's Child Line project has successfully completed its 9th year on 14th April so the celebration programme was arranged at Kundanmalaji Lodha Panchayat bhawan Badisajan Oswal Shree Sangh Hall, Sarjepura, Ahmednagar by Child Line team. Child line is 24X7 engaged in providing rescue and support of children who are in need of help. The main purpose behind this anniversary programme was to arrange a get-together of all the project staff, beneficiaries & volunteers and to felicitate the volunteers who play a vital role in CL work for receiving cases. Pratibha Dhoot (Member Rotary Club, Priyadarshini), Mr. Vinit Paulbuddhe (City Co-orporater) & Mr. Suvalalji Shingvi (President, Snehalaya) were present at this programme as chief guests. Near about 45 members were present on this occasion. Children from 5 shelter homes Yatim Khana, Clera Bush, Babawadi, CWC Shelter Home, and Snehalaya & 3 Balbhavans, were invited for the function. 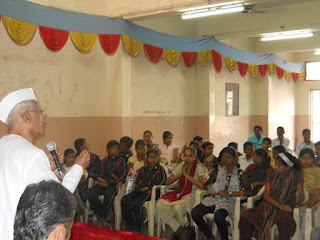 Pratibha Dhoot, Mr. Vinit Paulbuddhe & Mr. Suvalalji Shingvi were the guests of honor. 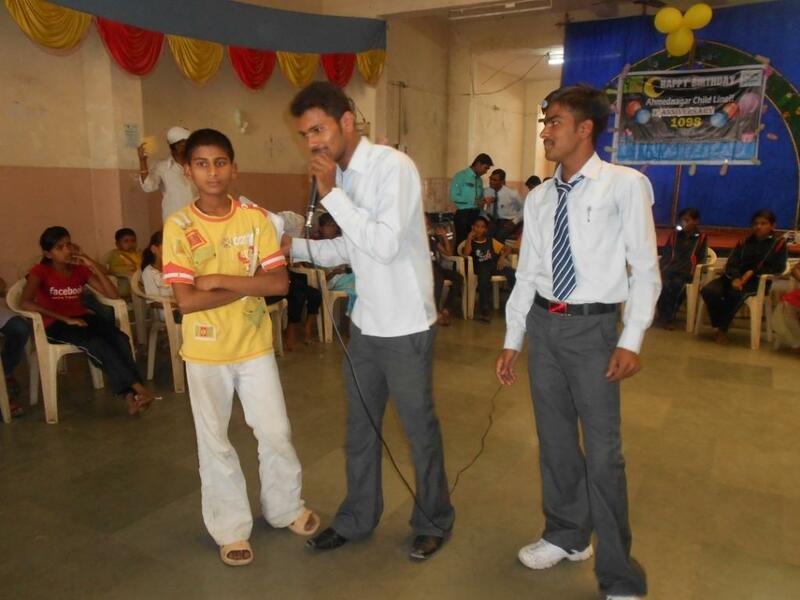 Children actively participated in games like drawing, mehndi, general knowledge quiz, musical chairs and one-minute games. 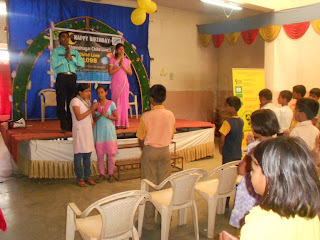 A skit on the issues of children was played by CHILDLINE team members with the help of Snehalaya children. All the winners & amp runners up were felicitated by the hands of guests with a trophy and certificate. A trophy for the Best Team Member was nominated to Alim Ayub Pathan for his dedicated work to CHILDLINE from past 5 – 6 years. 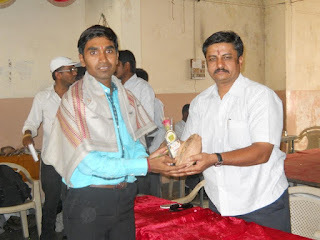 Mr. Yogesh Pimpale dedicated volunteer of Child Line was also felicitated with shawl, coconut & flower. At last cake was cut by the guests and the children. 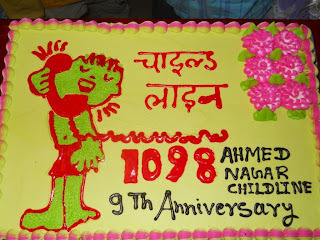 Cake was distributed among all the Children. RJ Bhushan from Radio Nagar 90.4 FM took interviews of CHILDLINE team members & volunteers. Mr. Suvalalji spoke a few words addressing to the children about the need and reason behind the establishment of CHILDLINE. 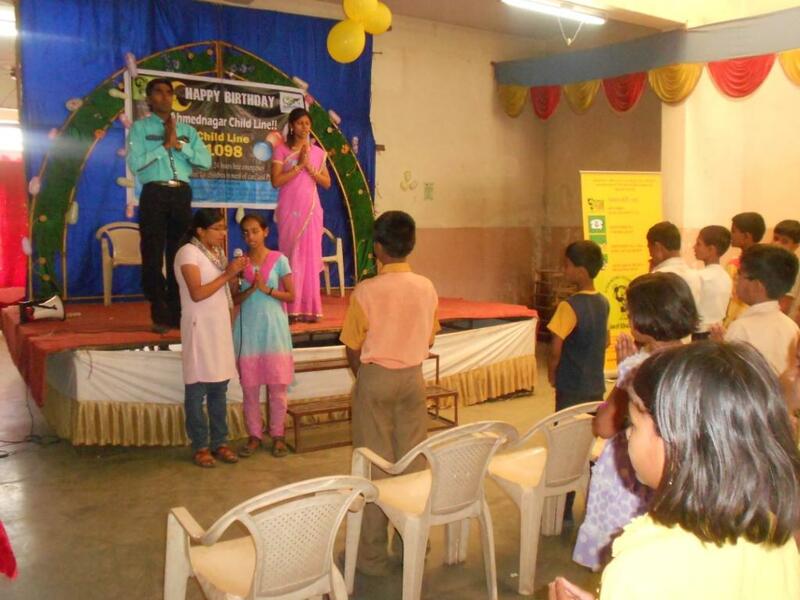 Mr. Paulbuddhe & amp Pratibha Dhoot expressed words of appreciation for the work of CHILDLINE. Mr. Nilesh Chhadidar conveyed his vote of thanks to all the participants for their active participation and guests for their kind presence.